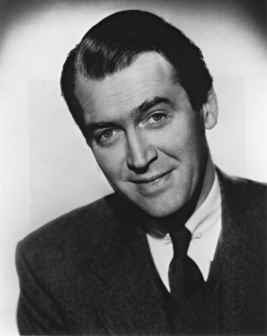 May 20th marks the 100th birthday of actor Jimmy Stewart. The League has has his list of actors about whom he is a bit fannish, and Mr. Stewart is right at the top of that list. In fact, when we were in college and took "Acting for Non-Drama Majors", we were asked to name our favorite actor, and I named Jimmy Stewart (almost everyone else named Al Pacino, which I found hilarious). Mr. Stewart not only acted in films and television for decades, he was also a decorated soldier during World War II where he served as a pilot of B-17's and B-24's in the Army Air Corps. 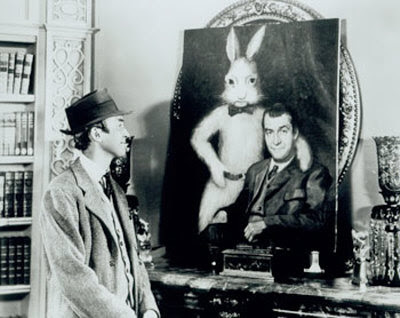 I will point you to the Jimmy Stewart Museum website for a biography. And to IMDB for a synopsis of his film roles. The truth is that I've only seen a small fraction of Mr. Stewart's work. "Harvey" is still a favorite, and I highly recommend it. And, of course, I really dig "Vertigo". But if "Mr. Smith Goes to Washington" doesn't fill you with a desire to dress in red, white and blue, you, sir, hate America. And, worse, if you don't get choked up a bit at the end of "It's a Wonderful Life" (and I don't care how many times you've seen it), your heart is made of stone. So a special League thanks to day to Mr. Stewart. Remember that one where Jimmy Stewart got into a porta potty and then they used a forklift to turn it upside down with him in and all of that poo... oh... wait... ummmm, maybe that was Jackass with Johnny Knoxville. Just think I met Jimmy Stewart along with Lee Remick years and years ago at a ski jumping tournament in Ishpeming, Michigan while they were doing Anatomy of Murder up there. They came out and froze like the rest of us, watching the guys jump. I have only seen 3 of Jimmy's movies where he was the main actor. Mr. Smith, WOnderful Life, and Shenendoah. You need to rent Shenendoah League, it is a civil war time piece flick where JS is a father of 6 boys who he won't let take sides in the war because he is opposed to it. Anyway, there are some good lines from JS in that movie. Not a great movie, fairly predictable ending, but just fun to watch Jimmy get his acting thing on, as an ornery old cuss. Actually, from your description, I have seen it. I had just forgotten I'd seen it when I was going through the list. I watched the movie in the summer of 1998, rented from the Hollywood Video that used to be on Red River, at Hancock Center. I remember finding it surprisingly good and a bit more complex when I thought it would be. Those are the roles I think Stewart excels in, anyway. Thinking back, its possible you recommended it way back in the day.